Thinking of Buying a Chihuahua Puppy? After years of seeing genuine Chihuahua Puppies lovers be conned this page is dedicated to helping future buyers be aware of what's happening out there The information below is here to help you the buyer in the search for your new Chihuahua so do please read and digest it as it will prove very valuable and make you aware of the pitfalls involved in today's Chihuahua breeders. 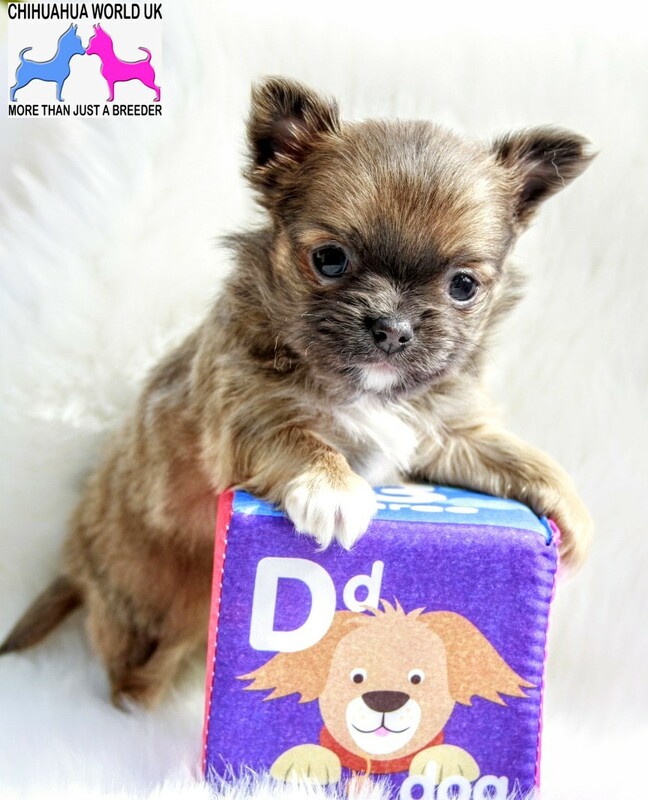 We would like to think that serious buyers of a Chihuahua puppy have done their home work and spent time in thinking what a commitment such a little dog will be in their life hence enabling both to enjoy each other to the fullest. Once you have decided a Chihuahua is right for you and your family you can then begin the journey in search or your perfect companion. When you start looking you should first familiarize yourself to the mine field of adverts scattered all over the Internet on all kinds of websites advertising Chihuahua puppies for sale. After hundreds of years of governments trying to run our country correctly and being in the state we are in, it's not surprising the doggy world is in the state it is in. When you get a governing body setting the legislation it more often than not boils down to money which usually takes precedence over everything else. 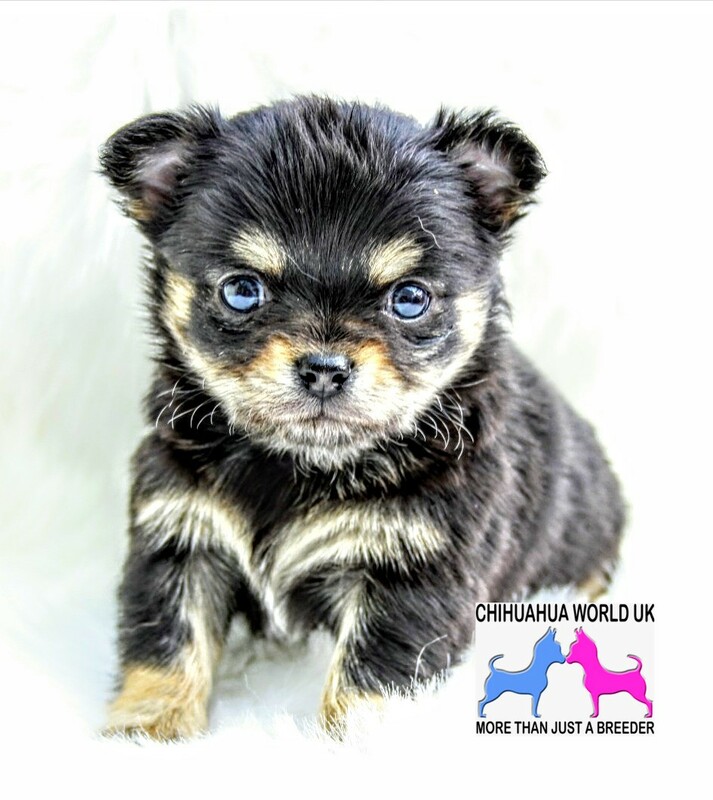 I receive many questions on a regular basis in relation to advice on Chihuahua breeding so creating this page should give you an insight into this subject. As with most things in the world we see changes in areas that follow progression in life but unfortunately dog breeding seems to be going stale due to the lack of legislation. The documentation which can come with your new puppy explained. Before we explain to you regarding documentation related to the purchase of a puppy please bare in mind the old saying which I'm sure you are all familiar with and that is "it's not worth the paper it is written on"
This page I feel will be an education for prospective Chihuahua Puppies owners who are getting sucked in by dishonest adverts. In adverts all over the Internet are quotes like mum weighs x amount and dad weighs 1.5lb / 2lb or 2.5lb, the same being quoted from the stud providers. There are 2 issues here, one being not many people realize how small 2lb really is which is why they usually add the word approximately or around before the weight. Another contraversial topic in the Chihuahua World concerns the Merle Chihuahua which displays an unuasual coat for sure but comes with what has been proven health problems after research found that Merle Gene dogs suffer with eye problems, sperm imperfections and hearing disorders. 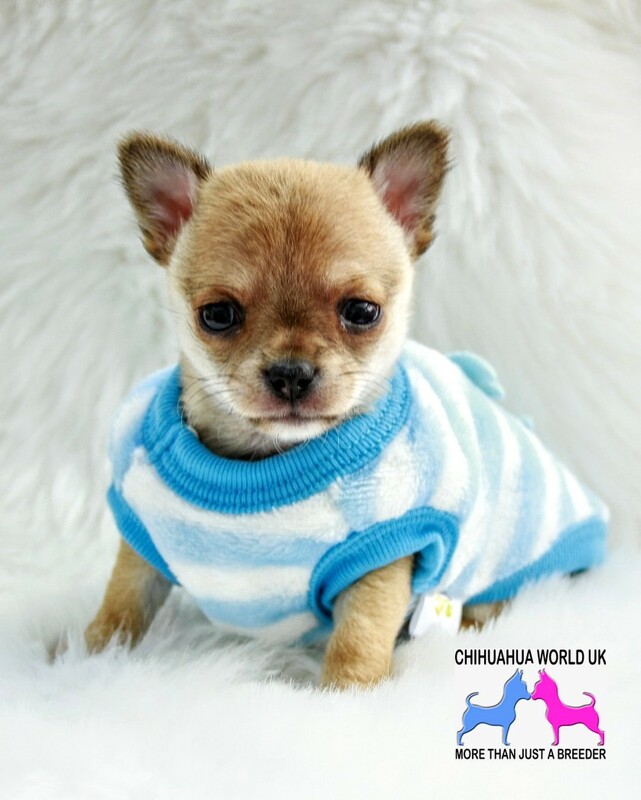 Chihuahua World DNA profiles any dogs we breed which screens for the Merle gene so would not breed from any adults found to be Merle Gene positive. As most of you know Chihuahua World doesn't use the KC for registering our puppies with, mostly due to our own opinion and beliefs in that no matter what a governing body tries to introduce as far as regulations in Dog Breeding they can never completely solve the problems we see with some Breeders. Paying to register puppies just to say they are KC registered really will never be an indication of the honesty of the breeder or the mental or physical health of the puppies. 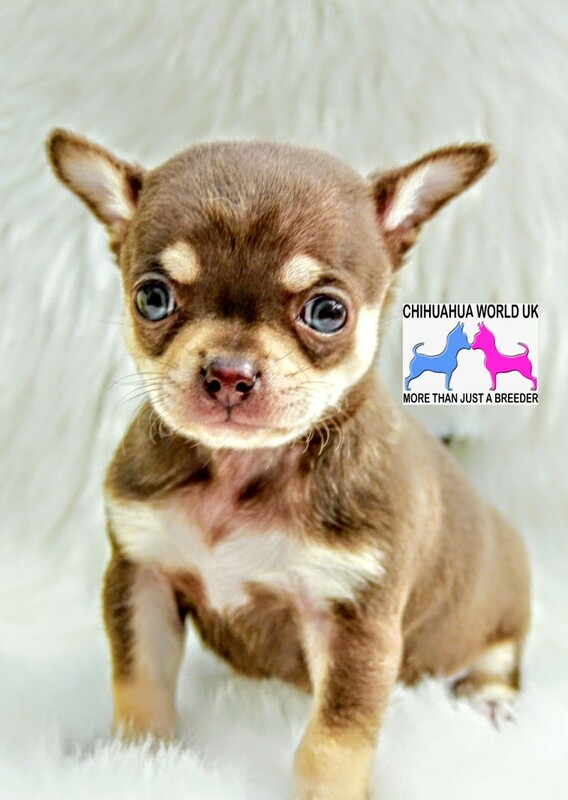 We have been inundated with emails and phone calls from people having been conned out of their money by sometimes thousands, unscrupulous people are claiming to be Chihuahua breeders advertising Chihuahua puppies for sale. These people are 9 out of 10 times in another country and usually won't speak only by email. When reading one of their adverts or emails ask yourself does their English and grammar seem like a genuine English person? and do they use different words than us like "shots" rather than inoculations or injections. Perhaps the most controversial subject within the doggy world and one which can capture your emotions as well as your interest. We have all seen the photos, news reports, and publicity surrounding this subject so it needs no introduction when talked about. The reason I'm dedicating a page to this topic is to highlight the expansion of this trade which is currently affecting the UK in many areas of dog breeding. A Free Chihuahua is something that is asked by many believe it or not, we have had so many begging emails from people asking if we have a puppy to give them and then saying how they have sent money to a non existent Breeder who have advertised puppies and then said they would deliver it after they have received payment. This is normally followed by something like "my daughter is heartbroken and won't come out of her bedroom until we get her a Chihuahua but we spent all our savings sending away this money."